Who doesn’t love chocolate at Christmas time! 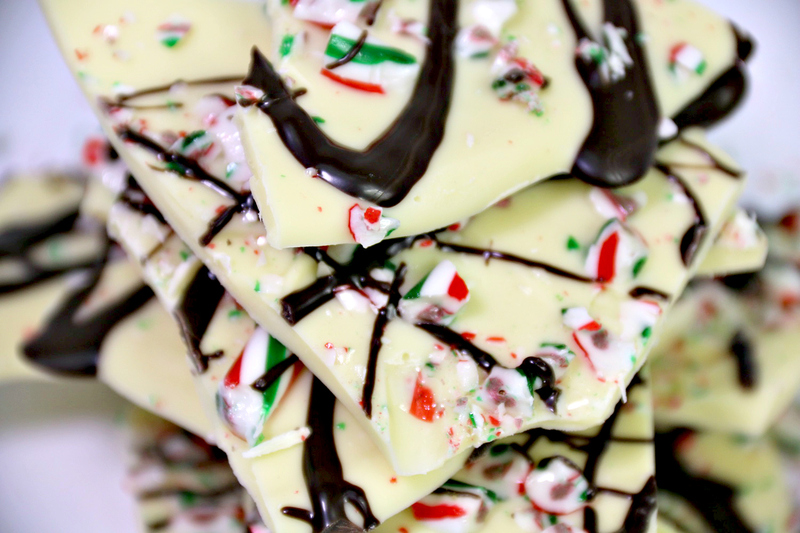 I know I do, and this White Chocolate Peppermint Bark is so simple but so delicious! 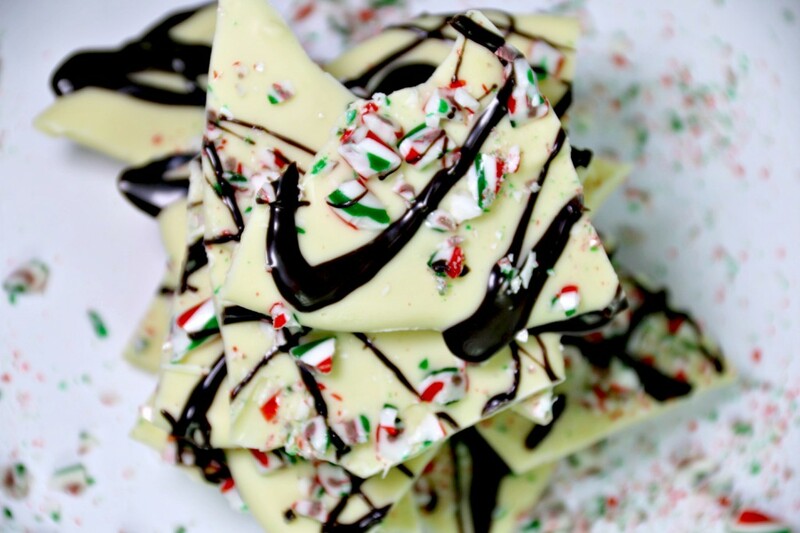 To make Peppermint Bark, start off by melting your white chocolate in a double boiler or microwave, make sure to stir thoroughly so chocolate does not burn and melts evenly. Once chocolate is melted pour onto a baking sheet lined with parchment paper. 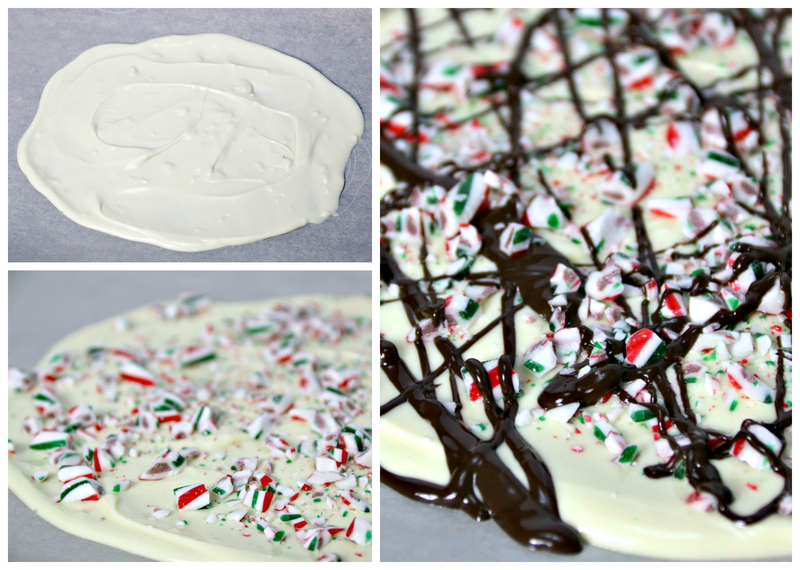 After pouring melted chocolate use a spatula to evenly spread, then add your crushed candy canes. After sprinkling candy cane pieces (you can do this by placing candy canes in a ziploc bag and smash them with a rolling pin or any other hard object). 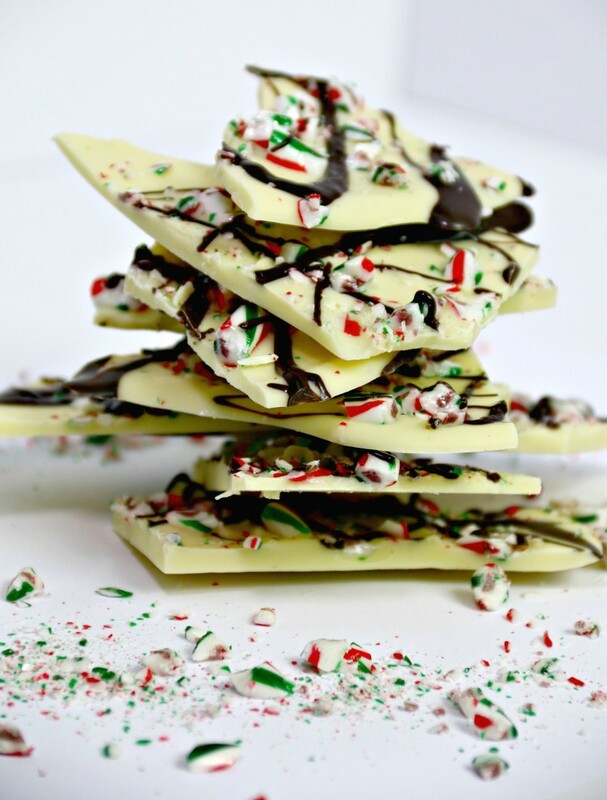 Melt your dark and or milk chocolate, and drizzle over candy bark. Once chocolate bark has had time to set about 8 hours or (overnight) it is ready to break into pieces. White Chocolate Peppermint Bark, great addition to any holiday baking. Start by melting your white chocolate in a double boiler or microwave, stir thoroughly so chocolate does not burn and allows chocolate to melt evenly. Once chocolate is melted pour onto a baking sheet lined with parchment paper. After pouring chocolate, use a spatula to evenly spread chocolate. Then sprinkle your crushed candy canes on top of the melted chocolate. To crush candy canes place in a ziploc bag and smash them with a rolling pin or any other hard object. Then melt dark or milk chocolate, drizzle over candy bark. Allow bark to set overnight in the fridge. Cut with sharp knife or break bark into chunks. This entry was posted in Dessert, Recipes and tagged candy, Chocolate, chocolate peppermint bark, peppermint bark, white chocolate, white chocolate peppermint bark.